A construction worker is alive and is in good spirits this morning as he recovers from unspecified injuries in a Trauma Center this morning. 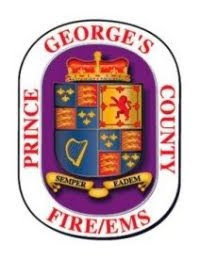 Just before 1:00 pm, Wednesday, November 16, Prince George's County Firefighter/Medics and the Departments Technical Rescue Team were alerted to a "trench rescue" near Greenbelt Lake in the 500 block of Crescent Road in Greenbelt. Sixty Firefighter/Medics and Technical Rescue personnel worked for about 5 hours in freeing the man. Upon arrival personnel found that an adult male, 50ish years of age, was trapped chest deep in a 12-foot trench. When the trench collapse first occurred the man was completely covered with dirt. Co-workers went to his aid and removed dirt from around his head and upper chest allowing him to breath. The Technical rescue team went work in shoring up the first walls and accessing the victim. An oxygen line was passed on to the victim that remained conscious and alert throughout the ordeal. Warm air was pumped in to the trench as personnel removed handful after handful of dirt from around the victim. Dirt soon turned to mud slowing the tedious task of freeing the trapped victim. A Technical Rescue Team from Howard County was brought to the scene after about 3 hours into the incident. Prince George's and Howard County rescuers worked seamlessly in freeing the victim. At about 6:00 pm, 5 hours after airing on the scene the victim was removed from the tench. Medics treated him on the scene and the man was flown on-board US Park Eagle 1 to a trauma center for treatment of his injuries. Injuries were non life threatening.